Bigmouth glides in the shadows under the dock, a common spot for a largemouth bass to pass the time. He is cautiously eyeing the bait and swims out for a closer look every now and then. However it doesn't seem to interest him and he retreats back under the dock. He is also well aware that a tasty crawfish is living nearby. Bigmouth is mode from a block of basswood that was temporarily cut in half to install the internals . 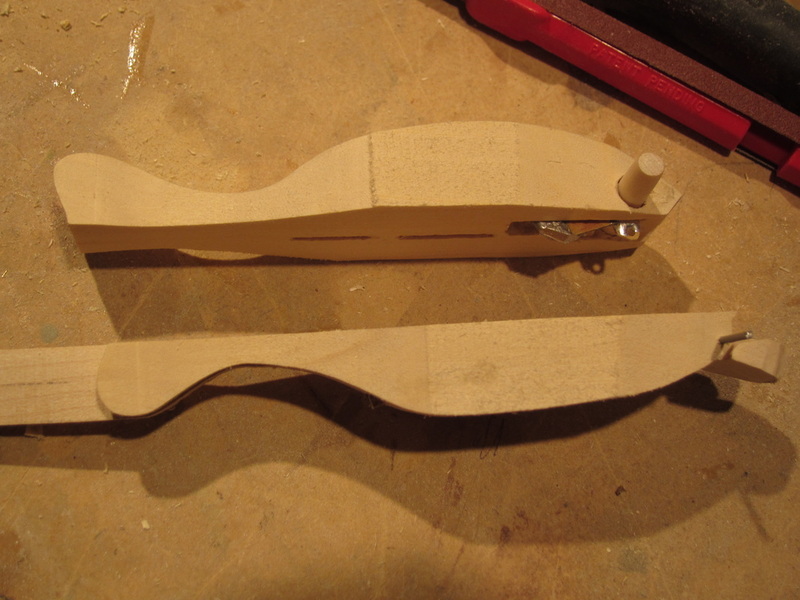 You can see the lower jaw, eye counterweight, future eyes (dowel pins) and support bar. 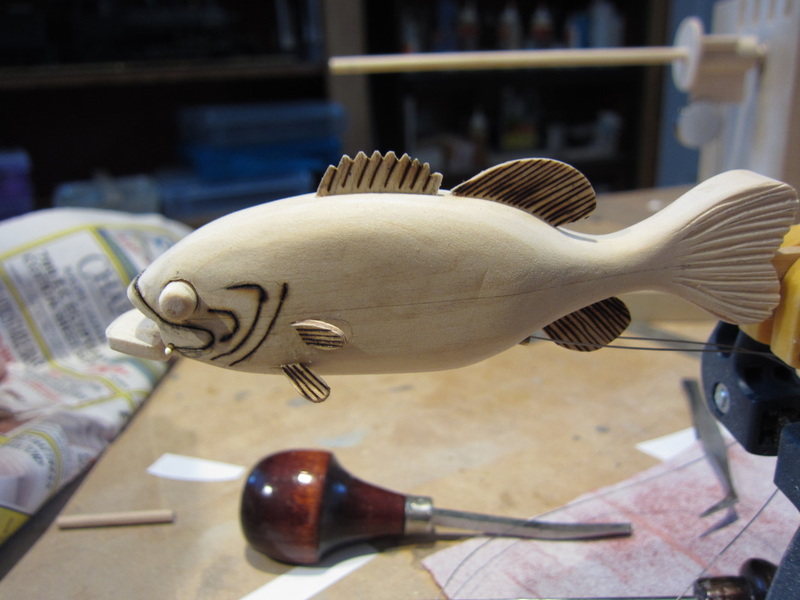 After reassembly the body is shaped, fins are added, the eyes are shaped, and details were etched with a wood burning pen. The jaw hinge pin gets cut and fixed into the body permanently and finally paint details are added.